It riles me a bit when at the end of a service of worship we are invited to say the grace and we respond in the words with which Paul ends his 2nd Letter to the Church at Corinth: The grace of the Lord Jesus Christ, the love of God and the fellowship of the Holy Spirit be with you all. What is my problem? It is this – when “The Grace” is announced (an almost universal custom these days) at the end of a meeting or worship, the words that spring to my mind are not those of Paul. Instead, I find myself wanting to say: for what we are about to receive may the Lord make us truly thankful. To speak of those words of Paul simply as “the grace” is to diminish the extent of a three-fold blessing from God to us: a benediction that promises more than the grace of the Lord Jesus Christ; more than the fellowship of the Holy Spirit; more than the love of God. It is the blessing of God who gives himself totally as Father, Son and Holy Spirit. That is the language of the doctrine of the Trinity; the doctrine of the Triune God and one of the most difficult facts of Christian doctrine. The hymn writer gets to the heart of it in the line God in three persons, blessed Trinity. Brief, succinct, maybe – but allow me to make my confession: I have often wished at the appropriate season I did not have to preach it, a tough concept to get round. But because the doctrine of the Trinity is an essential expression of believers’ faith, and although one finds it difficult to make sense of it, give up on the Trinity and our God is too small. A father came home from work to find his young son busily drawing. “What are you drawing?” father asked. “God”, said the budding artist. “You cannot draw God”, said father, “no one knows what God looks like”. “They will soon”, the lad replied, “I have nearly finished”. The doctrine of the Trinity paints the big picture of God, shows us what God is like. Whatever: we cannot say what we mean by God unless we say, Father, Son and Holy Spirit. 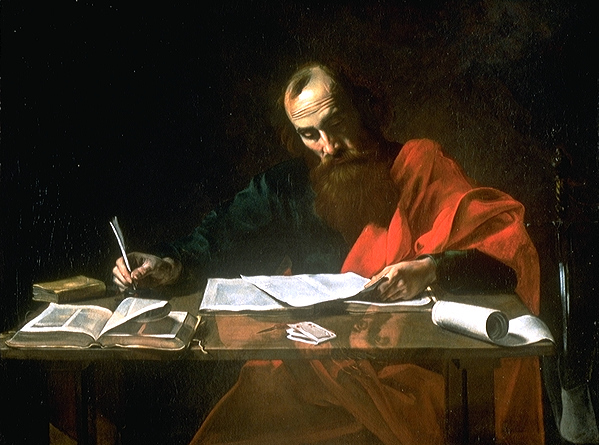 It is not my intent here to attempt a commentary on the verse with which Paul concludes his letter to the Church at Corinth. As it stands, the verse is not making a case for the doctrine of the Trinity – the Apostle had another purpose in mind. What he does is set out those three roles of the Trinity alongside each other, highlighting in each one of the ways in which God functions. Let us, by way of example, take a look at the grace of the Lord Jesus Christ. Grace: a chameleon-like word in common parlance. The boxer Mohammad Ali (formerly Cassius Clay) was said to be fabled for his grace in the ring, the implication being that he moved about the ring like a ballet dancer. However it not what we mean when we speak about Jesus. We talk about accepting something with grace; of showing bad grace although, if it is to do with “elegance” or “goodwill”, there can be no such thing as bad grace. Grace is a title we give to an archbishop or a duke. With no disrespect to either of them, Jesus does not come across as a duke or an archbishop. We speak of the means of grace when referring to an act of worship or either of our sacraments. We speak of channels of grace – kindly influences benefitting our good – and there is the table blessing, the grace before meals. John Newton gave us the hymn, Amazing Grace. Eugene H. Peterson (The Message) goes along with that in his paraphrase of 2 Corinthians 13, The Amazing Grace. Jesus told a story about a man who planned a great feast (it could have been a wedding banquet). Invitations went out but, for one reason or another, the invitations were declined. When the tables were set there was no one to sit at them. So the host sent his servants out on the streets and lanes of the town to invite the most unlikely people, described in the gospels as the poor, the maimed, the lame, all they could find, both good and bad; folk more used to humble fare, with never a thought of sitting at table in such grand surroundings. In other circumstances the host would never have contemplated giving hospitality to that kind of person, He was not obliged and no one compelled him to share his table with any of them but he did, an act of open-hearted, generous hospitality. It is said, it was grace which offered the invitation and grace which gathered those people in. The story illustrates something of how we understand and what we mean by the grace of the Lord Jesus Christ. In the story, God is the host, the banquet is the feast we share in God’s kingdom – the random guests, the likes of us who, when we come to that heart-searching moment sat before the Table set for the Lord’s Supper, can only say “we are not worthy so much as to gather the crumbs under your table. But you are the same Lord whose nature is always to have mercy.” Words I can seldom say without a lump in my throat. The grace of the Lord Jesus Christ – a prayer; a promise; a benediction. This entry was posted in 2 Corinthians, Bible references and tagged Benediction, Grace, Jesus, Paul, Trinity on June 6, 2014 by Anabel @ The Glasgow Gallivanter.